Working together can bring up negative emotions and we can take things personally. Some may find it difficult to work together harmoniously, arising to becoming competitive, bored or lazy. The greater work relationships are, the happier workplace, the greater the rewards and benefits. 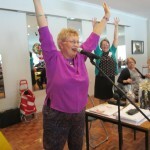 Laughter Yoga is used to improve workplace situations and is a great return on investment. It is a proven method which harmonises people on investment and by far, the simplest, most effective tool which breaks down barriers and connects people. 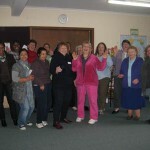 The Healthy Living Workshop was an absolutely refreshing and rewarding experience for me. As a mother with heavy commitments to work and family, my mental and physical wellbeing is often neglected and seen as less important. During the workshop, the light-hearted but effective activities (such as meditation, laughter yoga) targeting stress relief allowed me to realise the importance of a healthy and relaxed mind. I am so grateful to have participated in this workshop and hope that more people (especially overwhelmed mothers!) are aware of the importance of healthy living. Cherie, Sydney. – Testimonial from overworked businesswoman. Laughter may be used in a practical way to help create a more kind and authentic work environment. Firstly it is an physical, aerobic exercise that helps you to relax and let go of tensions. We might bring tensions from our home life to work and have workplace tensions pile up, what with the demands upon us, including those of meeting deadlines. 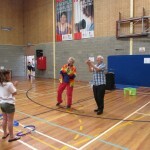 For an overview of laughter sessions, learning outcome and benefits of laughter, read more.